often turn to tool balance. Over the past few years the effects of imbalance have become more apparent with poor surface finishes, shorter tool life and increased vibrations. The use of a balancing system helps resolves these issues and ensures the high-precision balancing of tools and tool holders, among various other advantages. and how it can improve your machining process. Balancing enables higher machine tool RPM resulting in increased feed rates and cutting capacity. Improved surface finishes are also achieved due to reduced vibration when using balanced tools. 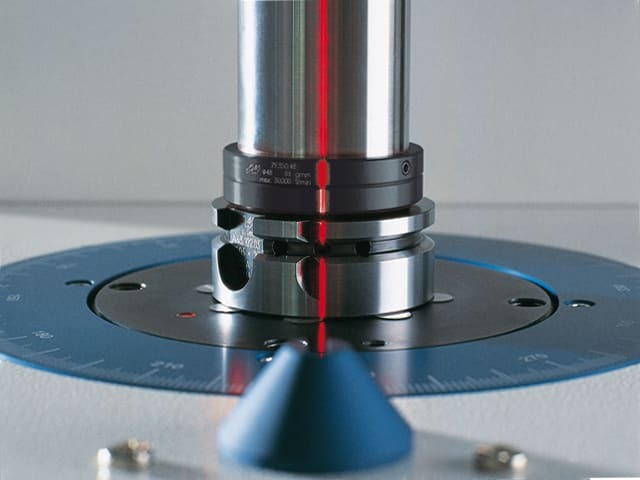 The implementation of balancing in to your machining process will help protect your machine tool. Balanced tools will reduce vibrations; subsequently you will see a decreased wear on bearings and a higher spindle lifetime.